By Philippe Van Nedervelde, Brian Wang, Willard Wells, and other members of the Lifeboat Foundation Scientific Advisory Board. This is an ongoing program so you may submit suggestions to [email protected]. Our LifeShield Bunkers program is a compliment to our Space Habitats program. It is a fallback position in case programs such as our BioShield and NanoShield fail globally or locally. A bunker can be quite large, such as Biosphere 2. A large bunker would be a place where babies are born and children play and go to school. Let us know if you wish to participate in a local LifeShield Bunker. We will contact you if and when we find a cluster of interested people in your area. Read The Case for Survival Colonies: Soliciting Colonists. Include your age, any medical issues, and information about family members who would accompany you to a redoubt. LifeShield bunkers can be extended to include making homes and offices into survivable structures with zero or limited aesthetic compromises. This will enable civil defense to work with our day-to-day lives. 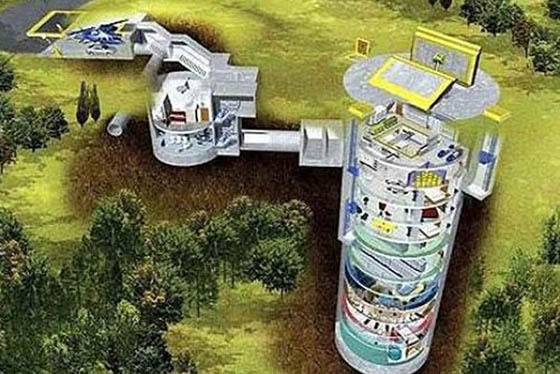 If our homes and offices are our blast shelters, then 80% or more of the time we will have some protection against possible disasters. If you only had an old style bomb shelter in your backyard then it is not likely you would be in it when things hit the fan. Our goal is to design society to shrink the radius of fatalities around a nuclear explosion or other disaster and reduce the percentage of dead. Many small nuclear reactors would enable a more robust electrical grid (in the event of very rare accidents/incidents, recall that we should have radiation resistance enhancing treatments and super-effective anti-radiation drugs). Spend more money to harden the structure of hospitals and other places that are critical to enable civilization to survive a nuclear attack or other disaster. Alaska Village Moves from Diesel to “Micro-Nuke” by Roland Piquepaille’s Technology Trends – June 6, 2005. Toshiba Builds 100x Smaller Micro Nuclear Reactor by Next Energy News – December 17, 2007. Giant nuclear bunker shuts as Swiss worries diminish by China Daily – October 17, 2006. Re-inventing Civil Defense : Zero soft targets by Brian Wang, Next Big Future – August 5, 2008. Simple and affordable defenses against nuclear bombs and Katrina Hurricanes by Brian Wang, Next Big Future – August 2, 2008. Swiss Bunker Photos by Leo Fabrizio, Polar Inertia – July 6, 2006. Swiss house migrants in bunker by Imogen Foulkes, BBC – August 24, 2004.